Here are a few of my favourite articles and blog posts from June 2018. 1. Harvesting Broad Beans. I’m very jealous of Mark’s crop of Broad Beans this year. Mine were an utter disaster. A huge shame as I was growing them again for the first time in a while. If you’ve ever wondered ‘when should I harvest my broad beans?’, or if you want a suggestion of the perfect herb accompaniment, Mark provides tips for both. 2. Strawberry and Elderflower Cordial. Every year I remind myself to make use of the abundance of Elderflower growing in the hedgerows. Every year I either forget and leave it a little late or can’t remember where this abundance is growing. Reading this fantastic recipe from Katie just makes think I must work harder to do it. 3. Spaghetti with Broad Beans and Garlic Scapes. I grew a hard neck garlic this year and as well as the incredible flavour offered by this type of garlic, it has the bonus of producing scapes in early summer. If you didn’t know, scapes are long curly stalks – the flower-heads – that rise out of the plant. They are delicious. Now, if I can just resolve the issue of growing broad beans next year, I’ll be using them in this simple recipe from those Agents of Field. 4. The allotment mid June reveal. Sophie always shares beautiful photos and this is a wonderful visual trip to her allotment in June. I clearly love allotment gardening and would encourage anyone to take on a plot of their own. I agree with the advice from Sophie for those who are hopefully about to do just that. 5. Good ideas from the allotments. A wonderful post from Caro on why allotments offer some great inspiration. Cobbled together constructions, make do, mended and upcycled odds and ends. It’s become a cliche of allotment life. However, long may this tradition of our allotment gardens continue. 6. Busy Month of June. It’s always busy on the allotment in June. This year, June has provided an even bigger challenge with the prolonged dry and hot weather. Karen has double the work with both and allotment and a kitchen garden to tend. However, as well as an endless task list, June also brings with it the pleasant reward of harvests and never needing to leave the plot for a snack. 7. The Big Four-Oh, and Other News from the Plot. I’m sharing this post from Valonia to celebrate her special birthday. I’m also sharing it because it’s a fantastic update and photo journey of the allotment garden in June. Happy (belated) Birthday! 8. The Good, The Bad and The Ugly. 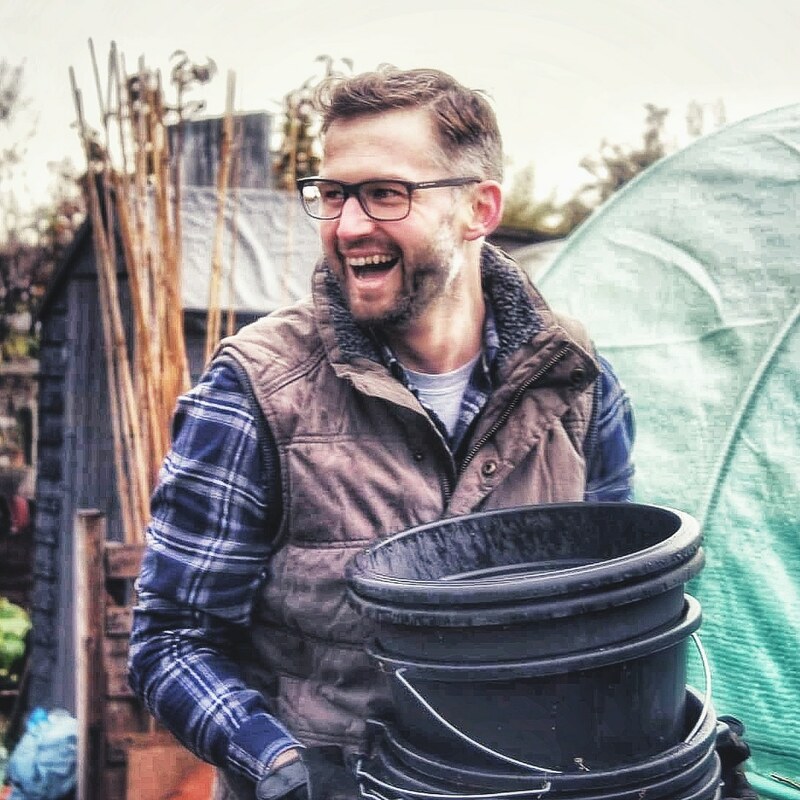 Adam has come back from a brief blog holiday and this is a wonderful return with a super read on everything that’s been happening on his allotment garden. Who knew allotment produce came in threes? 9. Bees and how to get them in your garden. As gardeners, we know how important bees are to our ability to produce crops. As human beings, there is an urgent need to know this. They are integral to our survival – seriously! Without these and other pollinating insects in our fields and gardens, we’d likely starve. If you are keen to support the bees on your plot, here’s a wonderful selection of flowers you might want to grow. 10. Easy to make Pink Rhubarb Gin Recipe. Ok, here’s a post I wrote for Tanya at Lovely Greens. But I want to share it with you as the photo’s I posted on my Instagram and Twitter channels received a lot of attention. It’s delicious and very easy to make. I also provide some advice for growing rhubarb in your garden or allotment. Drop me a comment below with a blog I might be missing out on and I’ll pop it in my reader. If you enjoyed this post, I’d love if you would share it using the buttons below. Thank you so much for the mention and the welcome back 🙂 Hope all’s well. #2 is a surprise. There are enough people interested in elderflowers? Our elderberries only started being used when my jelly started wining at the Harvest Festival, and no one uses thef flowers yet.